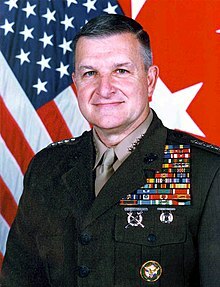 Anthony Zinni (born September 17, 1943) is a retired general in the United States Marine Corps. He served as Commander-in-Chief of the U.S. Central Command. Nearly four years after our country invaded and occupied Iraq, Americans are facing the painful truth that our nation has failed to achieve the Bush administration’s ambitious goals for that tragic land.